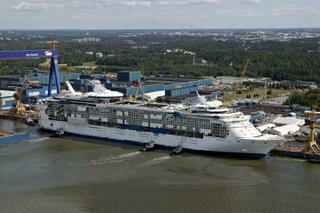 The Freedom of the Seas is floated out for the first time all was good. Though, I am not impressed with the new name – i feel a clunky marketing campaign to americans is afoot – which probably cheepens this new impressive ship given the current political misuses of “freedom”. 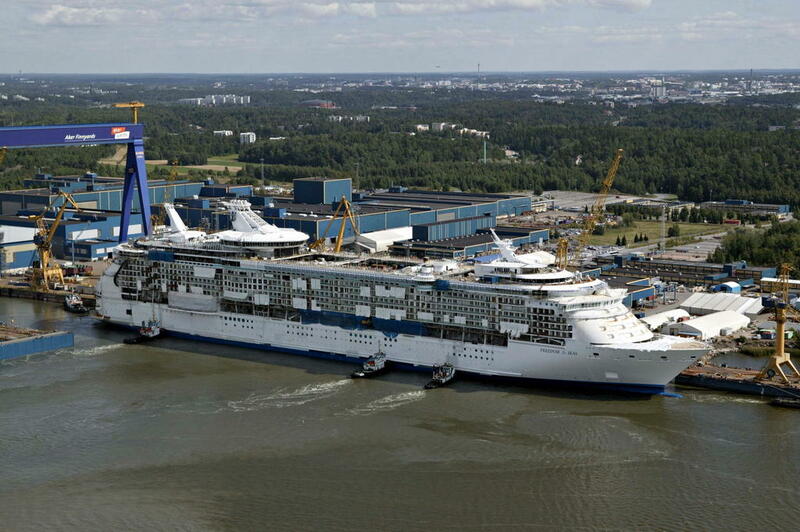 The ship is being built in at the Aker Yard in Turku Finland. Where alot of other Royal Carribean ships have been built. The new ship is impressive in numbers, but not soo much for its innovative features, other than the cool new surf pool and other passenger amenities. The ship itself is nearly identical to its cousins in the Voyager class. The Freedom is pretty much identical in design and machinery to the 5 Voyager Class ships allready in service, except it feaures one additional fire zone, extending the lenght overall and passenger capacity and related amenities. The propulsion plant of the Freedom is the same as the Voyager class which comprise of six Wartsila 46 V12 each rated at 12.6 mW (~17,000hp) diesels driving electric generators at 514 rpms. Three pods, two of them azimuthing, one fixed are used for propulsion along with 4 bow thrusters. There is two ships ordered, the Freedom due out in April 2006. The engineering department crewing is underway, starting out with my old chief engineer from the Rhapsody taking one of the Chief Engineer positions. The Voyager class is great success story for RCI despise the negative comments that were floating around when they were built. Too big this, too big that, but really all naysayers have been silenced as they are very popular ships, always filled to capacity. 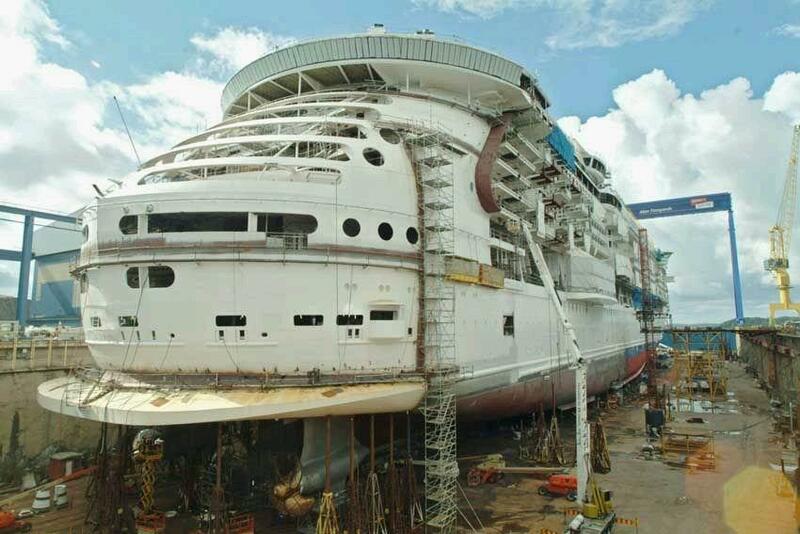 I suspect that RCI will be recognized for not just having 7 of the biggest passenger ships afloats, but also experimenting with new ideas and contributing to the development of new marine technology and style. Check out the pretty cool website featuring pics and videos of the build at http://freedomoftheseas.com, and the builder Aker Finnyards at http://akerfinnyards.com which also features a construction video.